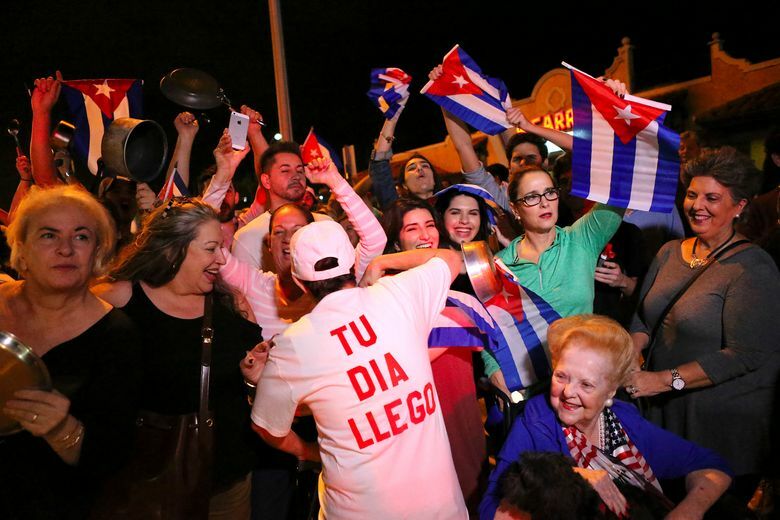 MIAMI (AP) — Wearing his “Bay of Pigs Veteran” shirt, 80-year-old Rafael Torre stood amid hundreds of Cuban-Americans celebrating the death of Fidel Castro and marveled that he remained in power for so long. Cuban exiles such as Torre tried numerous ways to dislodge Castro after he took power in 1959, including the failed 1961 CIA-backed invasion memorialized on his shirt. Now, like many others, Torre is hopeful for Cuba’s future with the bearded revolutionary leader finally gone. 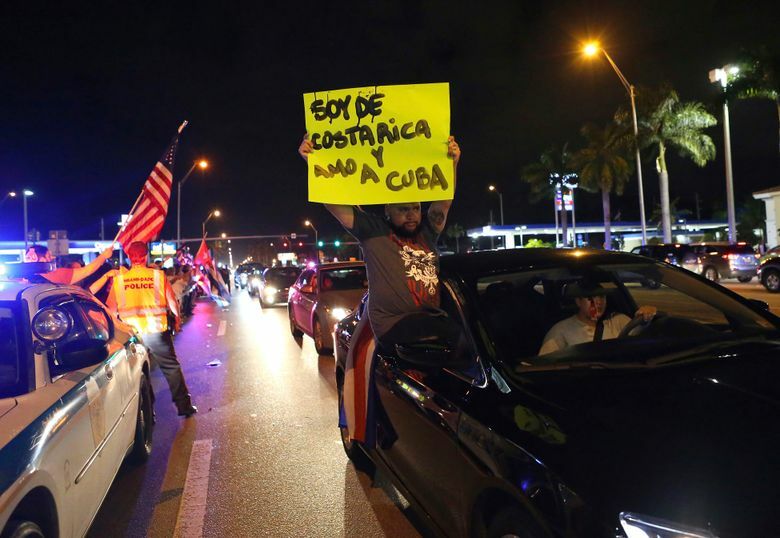 Thousands of people took to the streets of Miami and nearby cities Saturday shortly after the early morning announcement of Castro’s death at age 90, and kept the party going all day. 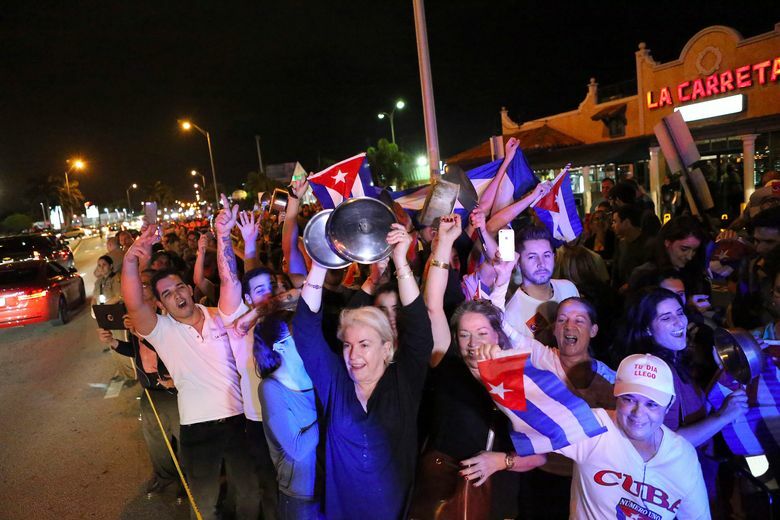 They banged pots with spoons, honked car horns, waved Cuban and U.S. flags in the air and whooped in jubilation on Calle Ocho — as Little Havana’s 8th Street is universally known. Police blocked off streets leading to Cafe Versailles, the quintessential Cuban-American hotspot where strong cafecitos — sweetened espresso — were as common as a harsh word about Castro, the nemesis of so many exiles for so long. Many said they recognize his death alone doesn’t mean immediate democracy or freedom for the communist island. “We need for the people of Cuba to have the freedom we have in the U.S., but this changes nothing. 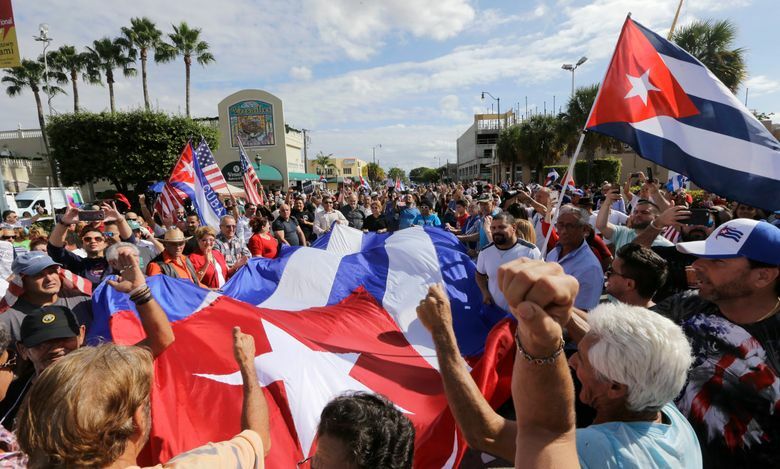 There won’t be change until the people revolt,” said Juan Cobas, 50, who came to the U.S. from Cuba at age 13. Others saw Fidel’s death as a sign that a generation that has ruled Cuba for decades is passing from the world stage, many noting that his brother, current President Raul Castro, is 85. 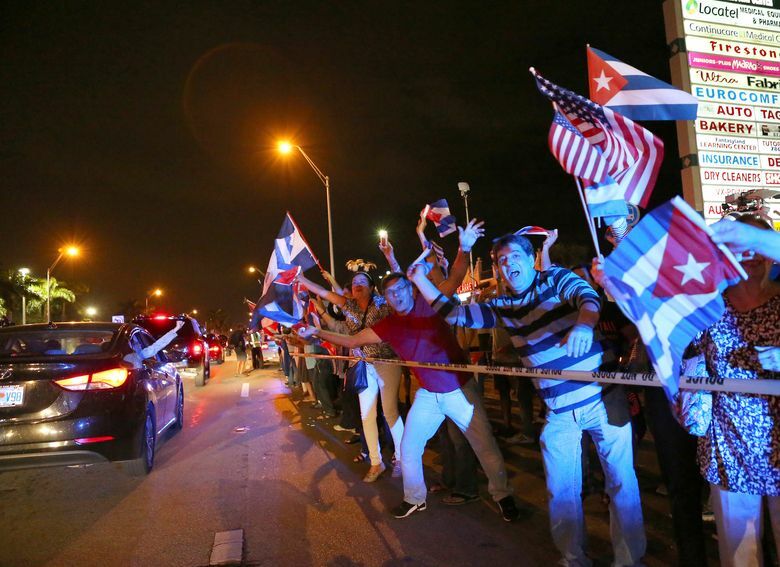 There were no reports of violence or any arrests during the demonstrations, Miami police spokeswoman Kenia Fallat said Saturday. 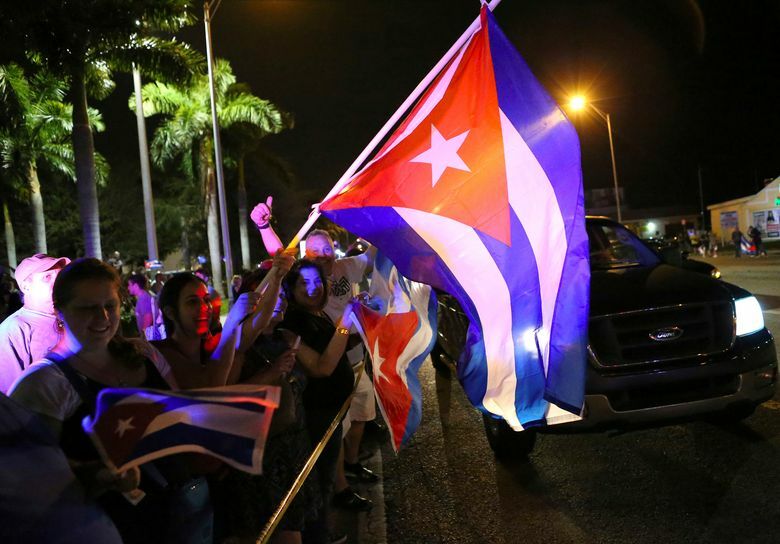 Miami-Dade County officials said there were no plans to activate the emergency operations center — another sign of the more subdued reaction to Castro’s death than might have previously been expected. “They are celebrating but in a very peaceful way,” Fallat said of the demonstrators. The U.S. Coast Guard was running regular patrols and not increasing staffing levels or taking other emergency steps, said Petty Officer Jonathan Lally. 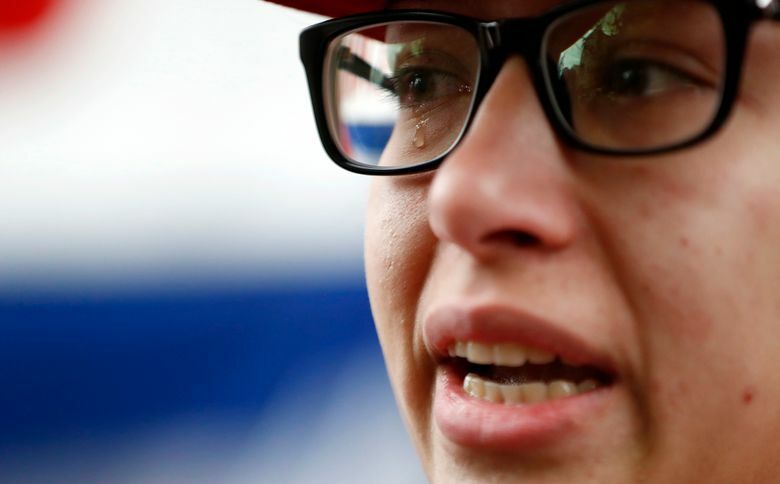 The Coast Guard has seen a sharp uptick recently in Cubans attempting to arrive in Florida by sea, with at least 7,411 Cubans attempting to migrate over the Florida Straits in the fiscal year that ended Sept. 30 compared with 4,473 in the same timeframe last year. 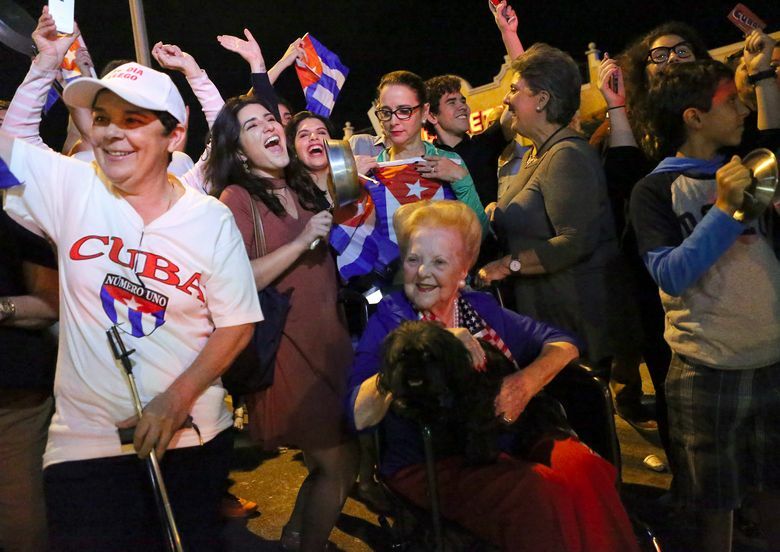 After Castro took power, Cubans fled the island to Miami, Tampa, New Jersey and elsewhere. Some were loyalists of Fulgencio Batista, the president prior to Castro, while others left with the hope they would be able to return soon, after Castro was toppled. He never was. 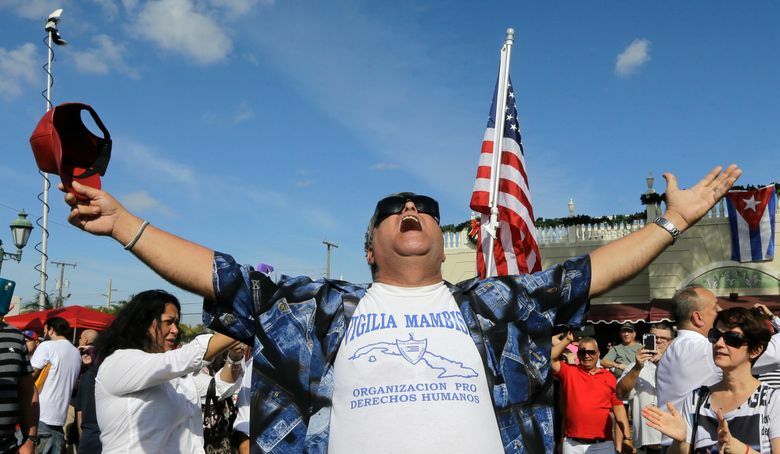 Many other exiles believed they would never be free under Castro and his communist regime. Thousands left behind their possessions, loved ones, and hard-earned educations and businesses, traveling to the U.S. by plane, boat or raft. Many Cubans died on the ocean trip to South Florida. Some had land and possessions taken by the Castro government. “He should not be revered. 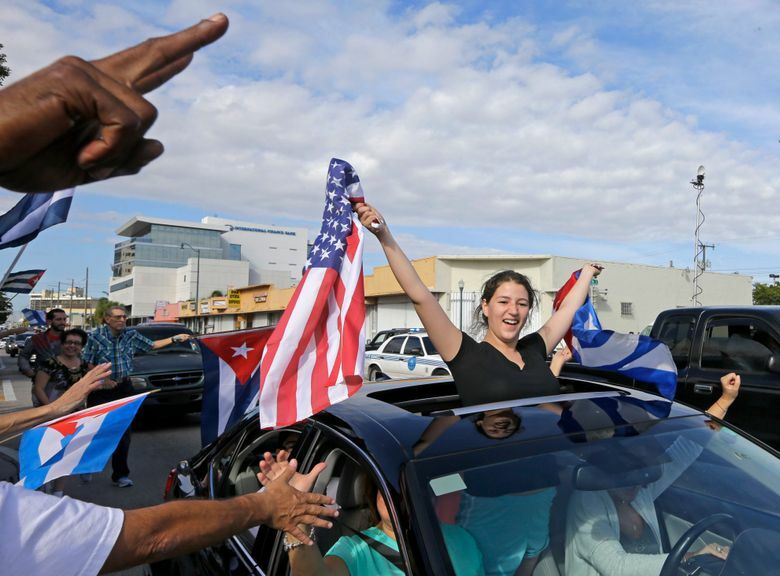 He should be reviled,” said U.S. Rep. Ileana Ros-Lehtinen, a Republican who was born in Cuba. 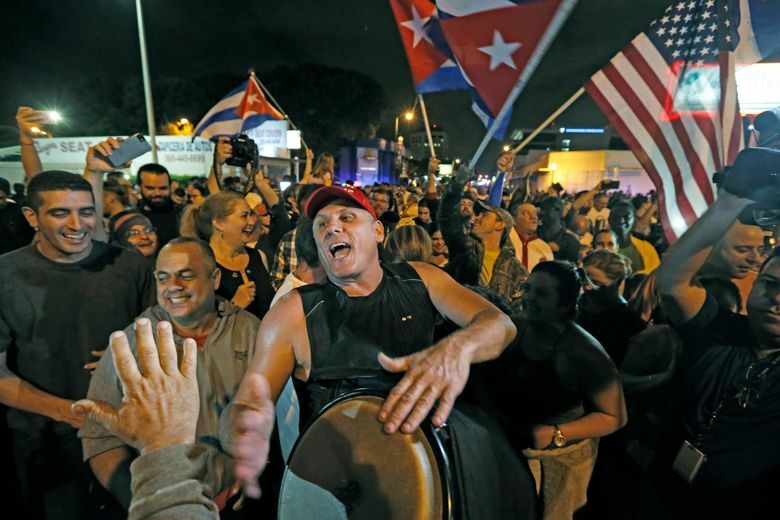 Some people said the election of Donald Trump as president could lead to a tougher stance against the Havana government that might hasten change. 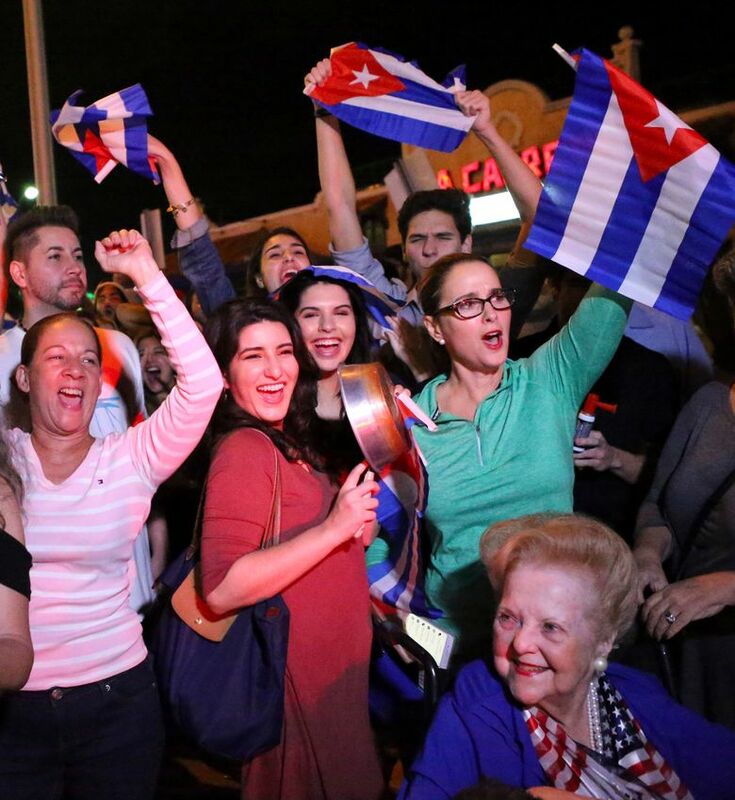 On New Year’s Eve every year, Cubans in Miami utter a toast in Spanish as they hoist glasses of liquor: “Next year in Cuba.” But as the Cuban exiles aged, and as Castro outlived them, and as President Barack Obama eroded the embargo and younger Cubans returned to the island, the toast rang silent in many households. News of Castro’s death was long anticipated and had been the subject of countless rumors over the decades, so that it became something of a running joke. This time, though, it was real. Lush reported from St. Petersburg, Florida, and Anderson from Fort Lauderdale, Florida. 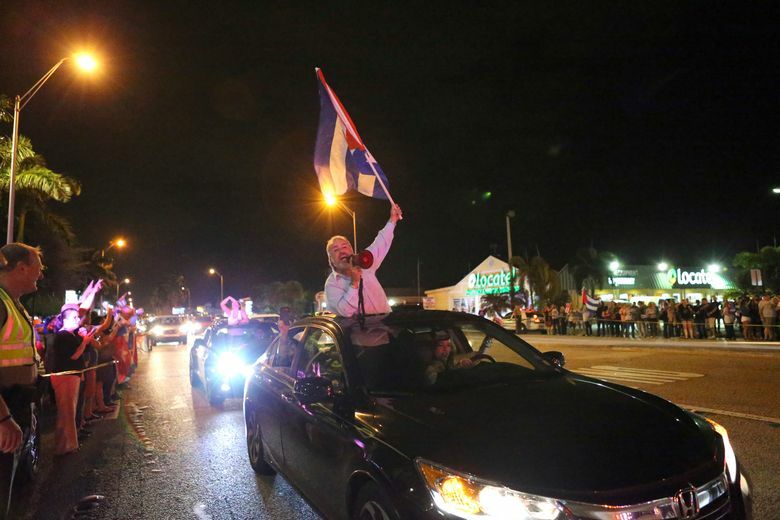 Associated Press writers Adrian Sainz in Memphis, Tennessee and Josh Replogle in Miami contributed to this story.